Freshen your look with Swapsy, where fashion doesn’t cost the earth. 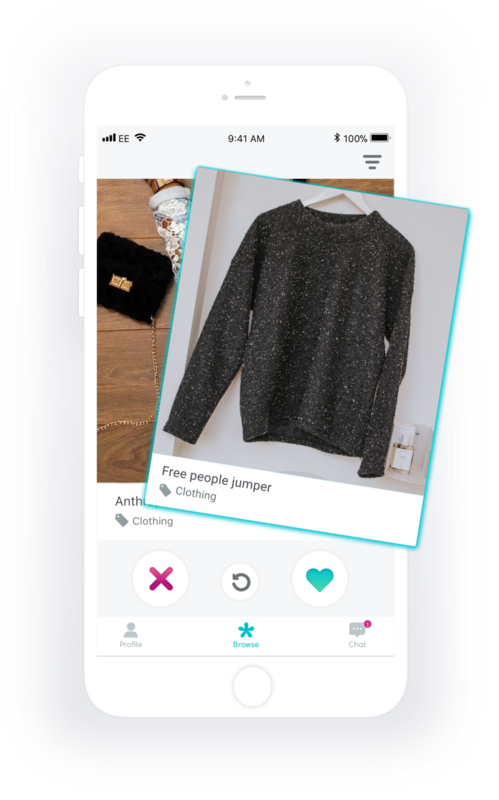 Available on Android and iOS May 2019, Swapsy is free to download and aims to help people exchange clothes and accessories with people local to them. It also helps people meet others with similar interests! Enter your name and email address below and we'll let you know when the app is available to download. Email me when it's ready! Thanks! We’ll be sure to let you know when the app is ready to download. After you've swapped your item, you can rate your experience and continue browsing and swapping! Swapsy - Swipe. Match. Swap!